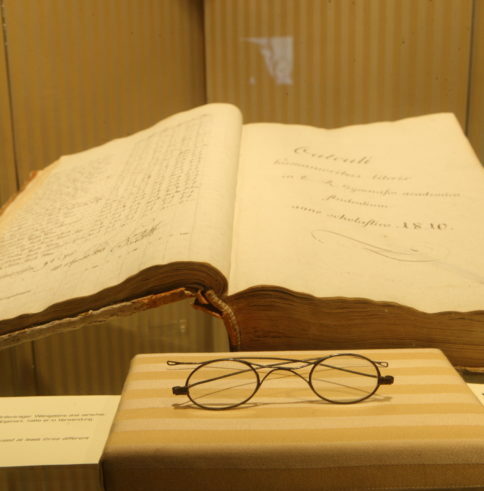 Mozart, Beethoven & Co. – rediscover the Great Composers. 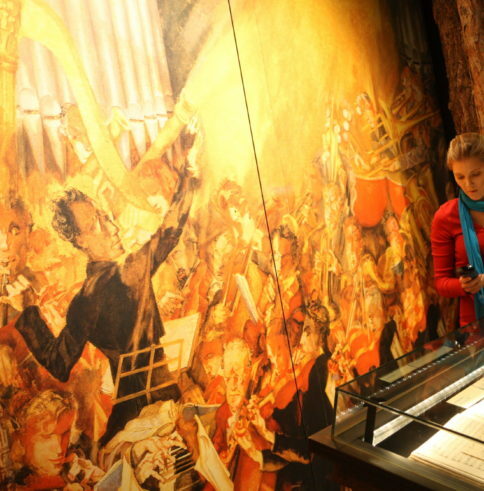 Vienna’s worldwide reputation as a city of music has been primarily shaped by the musical genius of some renown composers. 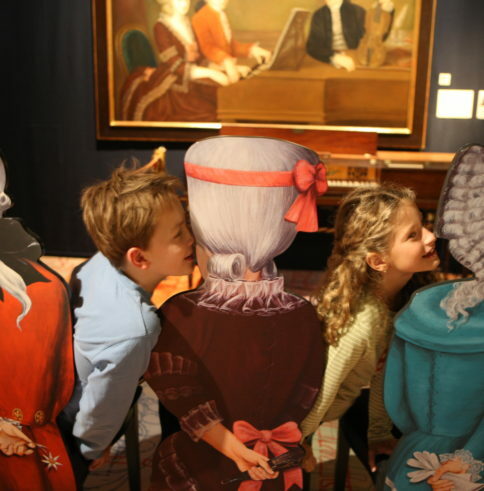 Joseph Haydn, Wolfgang Amadeus Mozart, Ludwig van Beethoven, Franz Schubert, Johann Strauss, Gustav Mahler, the Second Viennese School of Arnold Schönberg, Alban Berg and Anton Webern – all of them are introduced in their contemporary environment on the history level through historic documents, models, costumes, modern installations and personal items. 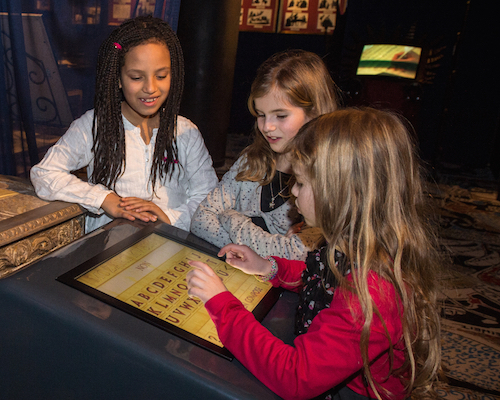 Films and databases provide the focus of the setting and intensify the edutainment experience. Your big moment, here and now. On the conductor’s podium of the world’s most famous orchestra. Have a go at conducting the Vienna Philharmonic! 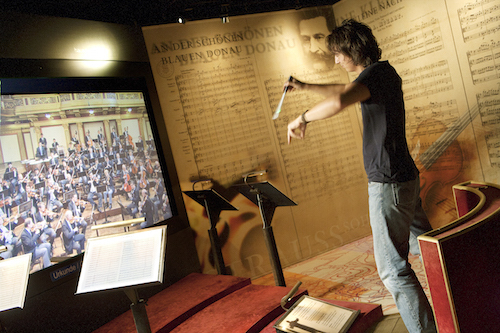 Each visitor has a chance to do this with the Virtual Conductor. The musicians obey the visitor, follow the tempo and rhythm of the baton. They are happy to reward you with applause. However, the orchestra’s patience is not without its limits. Namadeus: What does your name sound like as an original Mozart composition? 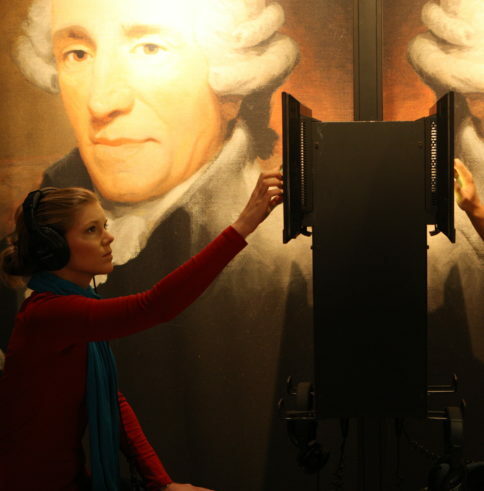 “NAMADEUS,” the interactive computer programme based on Mozart’s musical game KV 516f offers visitors the opportunity to playfully turn their names into original Mozart interpretations. Created for his piano student Franziska von Jacquin in 1787, the musical game KV 516f presents Mozart’s setting to music of the alphabet. The system can be applied to any given combination of letters and allows for great melodic variety. 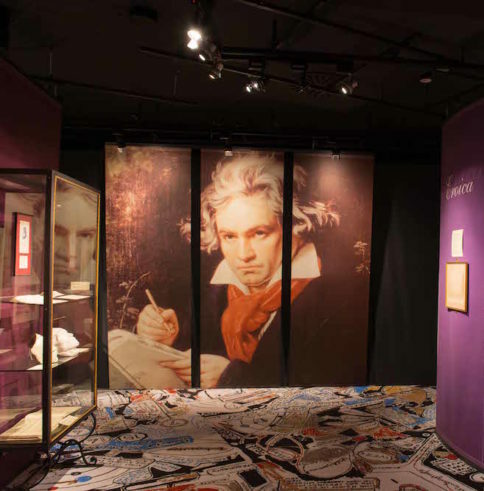 The sound carpet covers the whole third floor, passing by the great composers of classical music. Media artist Johannes Deutsch created the large-scale art project, inspired by the multimedia opera zeitperlen. 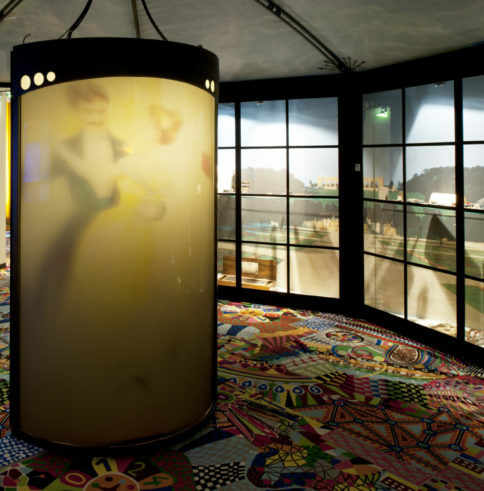 On the 4th floor, through their movement and interactions, visitors can become one with the opera while on the whole third floor they can discover its origin walking down the sound carpet.